The NFL agreed this week to remove a $675 million cap on damages from thousands of concussion-related claims after a federal judge questioned whether there would be enough money to cover as many as 20,000 retired players. A revised settlement agreement filed in federal court in Philadelphia also eliminated a provision that barred anyone who gets concussion damages from the NFL from suing the NCAA or other amateur football leagues. In January, U.S. District Judge Anita Brody had denied preliminary approval of the deal because she worried the money could run out sooner than expected. The settlement is designed to last at least 65 years and cover retired players who develop Lou Gehrig’s disease, dementia or other neurological problems believed to be caused by concussions suffered during their pro careers. “Some of the players were concerned and asking questions about whether they could be in a deal if they weren’t sure there’d be money there for them 40 years from now if they get sick, God forbid. ... That’s what drove these changes,” said plaintiffs’ lawyers Christopher Seeger. More than 4,500 former players have filed suit, some accusing the league of fraud for its handling of concussions. 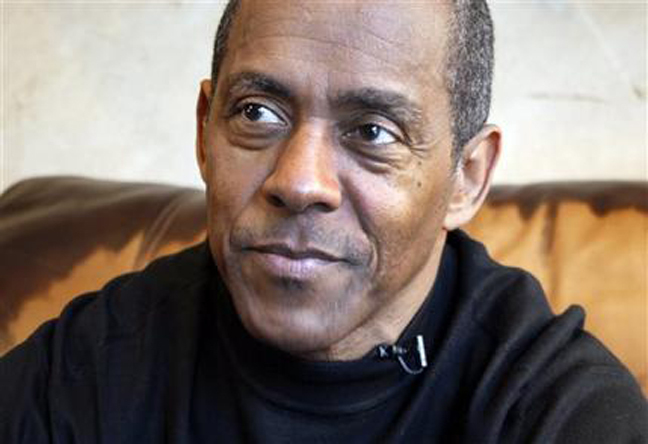 They include former Dallas Cowboys running back Tony Dorsett and Super Bowl-winning Chicago Bears quarterback Jim McMahon, who suffers from dementia. The original settlement included $675 million for compensatory claims for players with neurological symptoms, $75 million for baseline testing and $10 million for medical research and education. The NFL would also pay an additional $112 million to the players’ lawyers, for a total payout of more than $870 million. The revised settlement eliminates the cap on overall damage claims but retains a payout formula for individual retirees that considers their age and illness. A young retiree with amyotrophic lateral sclerosis, or Lou Gehrig’s disease, would receive $5 million, a 50-year-old with Alzheimer’s disease would get $1.6 million, and an 80-year-old with early dementia would get $25,000. Even with the cap removed, both sides said they believe the NFL will spend no more than about $675 million on damage claims by ex-players. Brody will decide later whether to accept the new settlement terms. She still has to rule on a petition by a group of seven players who say the settlement pays them nothing for symptoms ranging from headaches to personality changes. Critics of the deal have also said the league, with annual revenues approaching $10 billion, was getting off lightly. Lawyers for the plaintiffs said the settlement avoids the risk of a protracted legal battle. Seeger said any ex-player who opts out of the settlement and pursues litigation on his own would have to overcome a stiff NFL defense. The NFL has a range of legal arguments at its disposal, and a player would have to prove that his illness was caused by a concussion suffered during his pro career, he said. The proposal does not cover current NFL players, nor does it include an admission from the league that it hid information from players about head injuries. “Today’s agreement reaffirms the NFL’s commitment to provide help to those retired players and their families who are in need, and to do so without the delay, expense and emotional cost associated with protracted litigation,” NFL Senior Vice President Anastasia Danias said in a statement. One of the plaintiffs is Kevin Turner, who played for the Philadelphia Eagles and New England Patriots and is now battling ALS. It’s not clear when the judge might rule, but Seeger said he is hopeful that preliminary approval will come in the next few weeks.